What does $1,300 rent you in Forest Park, today? Curious just how far your dollar goes in Forest Park? We've rounded up the latest rental listings via rental site Zumper to get a sense of what to expect when it comes to finding a place in Forest Park if you don't want to spend more than $1,300/month on rent. Listed at $1,300/month, this one-bedroom, one-bathroom apartment is located at 7300 Madison St. In the unit, prospective tenants are hardwood and tile floors, stainless steel appliances, granite countertops, wooden cabinetry, high ceilings and in-unit laundry. When it comes to pets, both meows and barks are permitted. According to Walk Score, the surrounding area is quite walkable. Here's an 850-square-foot one-bedroom, one-bathroom at 520 Desplaines Ave. that's going for $1,299/month. The building has intercom security, garage parking, a fitness center, an elevator and extra storage space. In the apartment, you'll get hardwood flooring, high ceilings, air conditioning, a dishwasher, stainless steel appliances, granite countertops, wooden cabinetry and a balcony. Pet lovers are in luck: cats and dogs are welcome. Walk Score indicates that this location is friendly for those on foot. Next, check out this one-bedroom, one-bathroom that's located at 533 Jackson Blvd. It's listed for $1,275/month. Assigned parking and outdoor space are offered as building amenities. 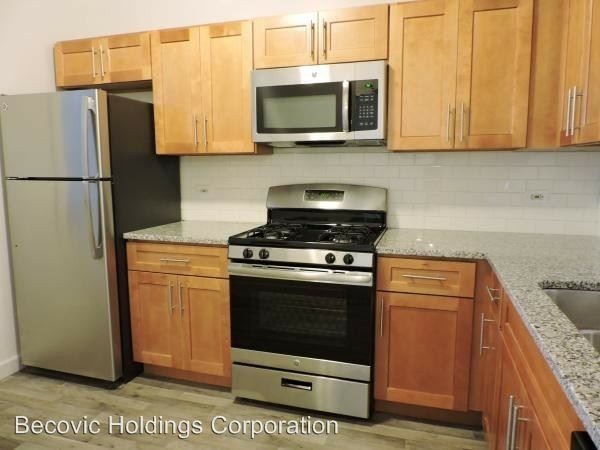 The apartment features hardwood flooring, air conditioning units, a dishwasher, stainless steel appliances, granite countertops, wooden cabinetry, high ceilings, in-unit laundry and garden access. Pet lovers are in luck: cats and dogs are welcome for an additional fee. Walk Score indicates that the area around this address requires a car for most errands. Located at 7219 Adams St., here's a 750-square-foot one-bedroom, one-bathroom condo that's listed for $1,225/month. The building features on-site laundry, assigned parking, outdoor space and extra storage space. Apartment amenities include hardwood floors, ceilings fans, a dishwasher, stainless steel appliances, granite countertops, wooden cabinetry and a patio. Luckily for pet owners, both dogs and cats are permitted. According to Walk Score, this location is very walkable.